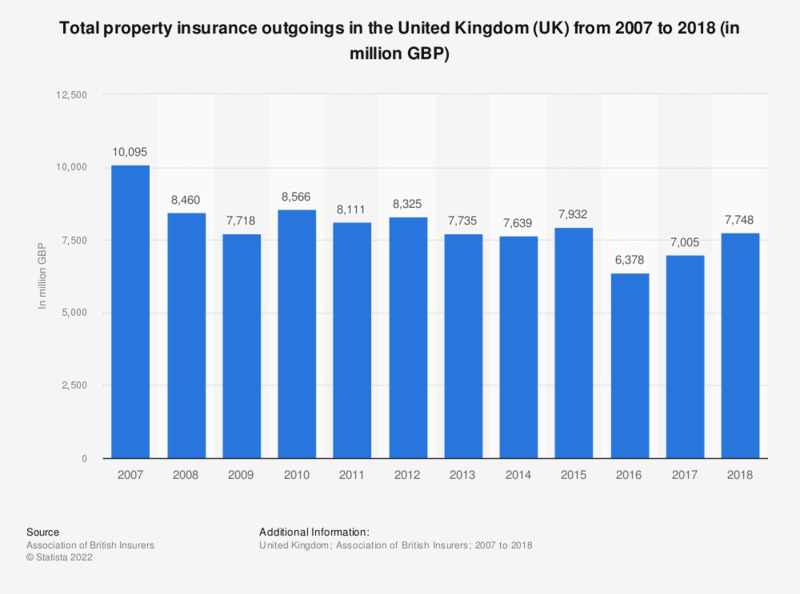 This statistic shows the total property insurance expenses of the general business insurance market in the United Kingdom (UK) from 2007 to 2017. In 2017, the total property insurance outgoings amounted to more than seven billion British pounds (GBP), an increase of over 600 million from the previous year. What risks are insured against the property of your company at the moment? Do you see cyber insurance as a major growth area for commercial insurers?